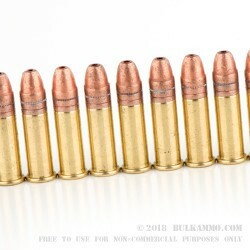 While the .22 caliber rifle is generally seen as being mild next to its larger caliber brethren, this .22 caliber ammunition is anything but mild. 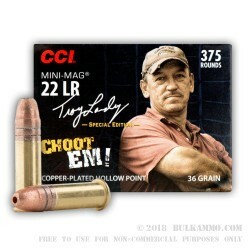 The .22 Long Rifle 36 grain Copper Plated Hollow Point Swamp People Edition ammunition by CCI is some of the fastest and hardest hitting .22 ammunition on the market today, and guaranteed to leave a smile on your face like no other .22 can. 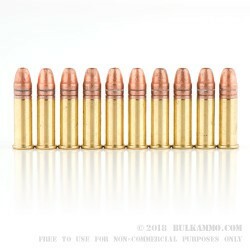 This 22 LR 36 gr CPHP ammo was engineered using CCI’s patented copper point hollow point bullets for greater velocity and penetration. 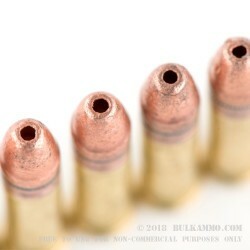 Copper jacketed hollow point bullets reduce lead fouling within the barrel during heavy, prolonged courses of fire, and aid in bullet weight retention after impact with the intended target. 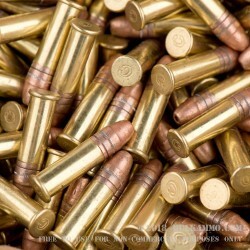 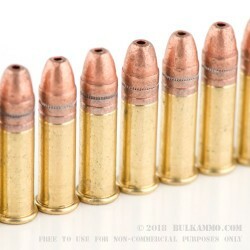 High head brass casings ensure a tight seal within the bullet chamber during the ignition process, and are capable of sustaining higher chamber pressures than shorter .22 caliber rounds. 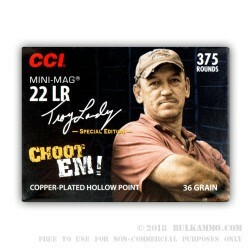 At a muzzle velocity over 1,340 feet per second, the CCI .22 LR 36gr CPHP is one of the faster rimfire rounds anywhere on the market today. 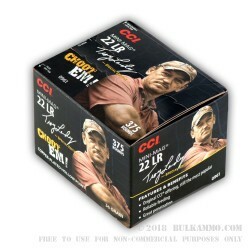 Whether you are plinking at home or looking to compete, the CCI .22 LR 36gr CPHP is hands down the best round for you high performance needs.